THE ONE shred of positivity in the autumn for Wales was that in the face of four straight home losses – now a record five defeats after last week’s defeat to Ireland – the bigger picture remained clear, a firm belief in youth. Jack Dixon, the teenage heir apparent was being groomed to join Wales’ midfield, alongside Ospreys lock, Lloyd Peers, who were both introduced to the senior national set-up whilst in Poland in October. Warren Gatland’s obsessive pursuit of strength-in-depth has been almost as admirable as his duo of Grand Slam successes. 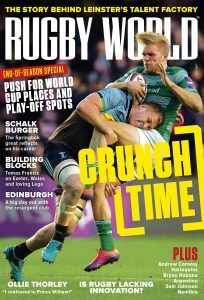 Where Wales once had sleepless nights wondering how they could replace Martyn Williams, now Rob Howley endures a different kind of problem as vociferous public opinion demands that Justin Tipuric dethrone captain Sam Warburton. Yet while the player pool has expanded one thing is clear: it is the lifeguard who needs help. Howley’s situation as ‘interim” head coach is nothing new; it retells the story often found with No 2s in sport. 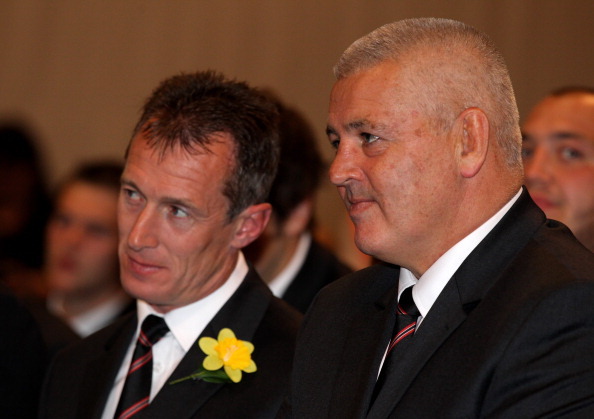 Gatland, during his six-year tenure, felt compelled to criticise players publically and used the media to remind transgressing players of their responsibility. 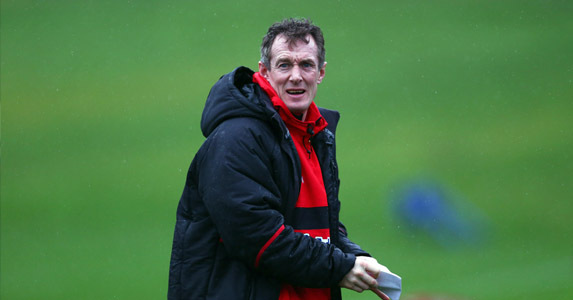 Howley, a renowned former player is moving into new territory as No 1. Formerly the peacemaker, and antidote to Wales’ good cop, bad cop duo, his record suggests luck has not been an easy bedfellow, with six of his eight-matches, lost by eight points or less. A cold-hearted look at his record would suggest the softly-spoken successor lacks the capacity to take the top job and there is no shame in that. However, a promising Welsh coach’s Test career teeters over the precipice and the shame would be that he didn’t receive the requisite support. Wales assistant coach, Shaun Edwards’ remains a key figure in the camp, but London Irish’s points against column suggests the feted drift defence misfiring at the moment. Edwards is fiercely proud of his art, yet he was under scrutiny long before Wales’ blitz defence was nullified by Jonathan Sexton persistently maintaining his depth. Two similarly painful, personal defeats – the British and Irish Lions Test loss in South Africa in 2009 and Wales’ Rugby World Cup semi-final exit to France – had fuelled the fires. Now instead Gatland’s long-trusted hand right-hand man is distanced – out of the Lions reckoning and an understudy on Wales’ summer tour to Japan. The long-term goals for the Wales squad remain consistent; to claim Southern Hemisphere scalps and continue to unearth talent that has seen Wales nurture top-quality players in spite of the commercial pressures its regions are under. While the Dragons have been cautious with Dixon, the national setup has earmarked him for exposure at the highest level. 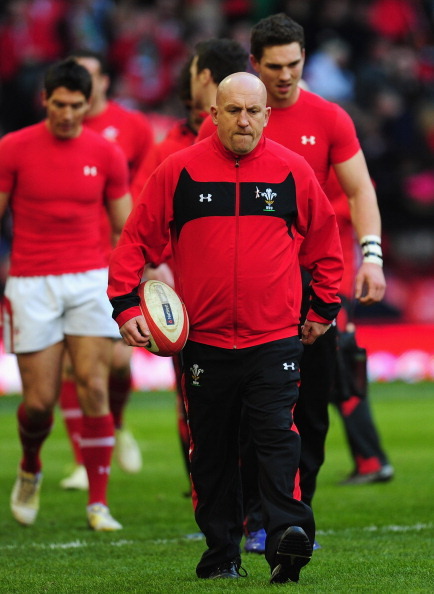 At coaching level, a Gatland-mentored coach, is under threat. Howley can seek solace in statistics, and three fourth-placed finishes from Gatland, neatly sandwiched between recent Grand Slam victories, but the Kiwi had the nous to adroitly navigate away from murky waters. As Wales walk out at the Stade de France in less than 24hrs time, they will be aware that a record 11 consecutive defeats is advancing. Howley’s pragmatism, in public at least, since being installed as the top suggests a verbal volley would be out of character, but when stood in the firing line a retort would come in handy, and what better way than taking the pin out of Edwards and throwing him into the changing room.